I love creating clip cards for students. They’re a great way to engage students of all abilities. For kids who have difficulty writing, clip cards enables them to show their knowledge with out the stress of having to write. For students who need to fidget, clip cards keep their hands busy and provide their hands with sensory feedback, while they’re focusing answering. Providing a variety of different types and sizes of clips will help your students practice their fine motor skills too. 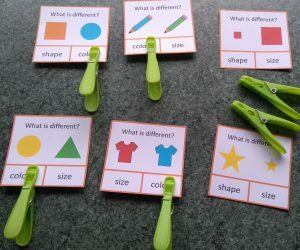 Clip cards don’t need to just be for Speech & Language activities. I love to use them for Math, Science, Life Skill & Geography tasks too. 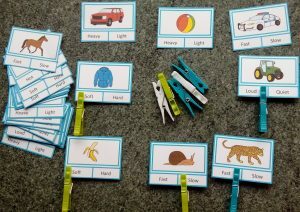 Check out some of my clip cards from my TpT & Autism Educator stores.